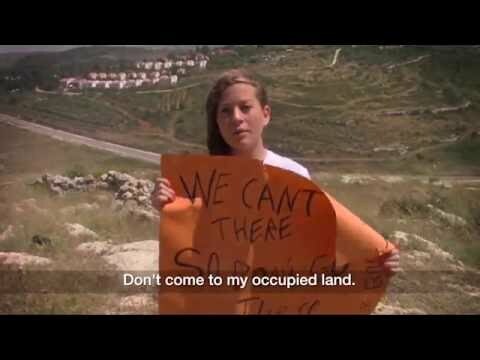 Palestinians can’t #LiveThere, So Don’t Go There. Over 150,000 people around the world have joined with a coalition of human rights and corporate responsibility groups to demand that Airbnb immediately end the illegal practice of listing vacation rentals in Israeli settlements in the occupied West Bank. Palestinians to Airbnb: "We Can't Live There. So Don't Go There." Download a custom #StolenHomes poster with your city. Affordable housing and anti-gentrification activists across the country are also protesting Airbnb and its policies, which often drive property values up in working class neighborhoods, pushing families out of their homes. Together, we’re calling on Airbnb to stop profiting from #StolenHomes. As an Airbnb host myself (I rent a room in my home to out of town visitors), I like the idea of being able to earn extra income and be part of a community that shares itself with others. However, I don’t think it’s ethical that Airbnb would profit from home-shares in illegal properties. I appreciate Thomas Lee for saying explicitly that settlements are illegal under international law, without caveat or question. I think Airbnb needs to be clear about its standards for home shares and prohibit illegal properties. As an older Jewish woman with both U.S. (born in San Francisco) and Israeli (lived and worked there for nine years), citizenship, I want to thank Thomas Lee for his very straightforward and honest article. I totally agree with Stephanie Fox, deputy director of Jewish Voice for Peace, when she condemns Airbnb’s profiting from supporting Israel’s illegal activities. I sincerely hope that The Chronicle continues to report on these kinds of issues including covering the boycott, sanctions and divestment movement for what it really is. Distorting and/or hiding the truth helps neither Israel, nor, of course, the Palestinians. So thank you, again. Thank you for publishing “Airbnb stumbles yet again, this time with West Bank settlements” (Mar. 10). By accepting whatever Airbnb charges for listings in Israeli settlements, Airbnb is giving an air of respectability to and profiting from Israel’s illegal settlement activity in the Palestinian territories. Occupation, Inc., a recent report by Human Rights Watch, says that any company doing business directly or indirectly with Israeli settlements should cease their activity, for these businesses supply jobs to settlers and taxes to the settlements municipal governments. Thus, culpability in Israel’s occupation extends not just to those companies who directly violate Palestinian human rights, such as Caterpillar, HP and Motorola, but also to those companies who help to make the settlements viable. The Middle East peace process is a complex issue, and it’s hard know what’s right, and what positions to take a clear stance on; in particular for gentiles like me with innumerable Jewish friends and colleagues. But among all the shades of gray, the settlement issue is pretty black and white: They are clearly illegal, exactly as author Thomas Lee stated (kudos to him). It is beyond the pale that Airbnb is helping to rent out illegal residences on forcefully acquired ground. The issue is of great relevance to San Francisco and your readers, especially because of the large role that the Airbnb company plays in the city. But it’s also of relevance to the general public, and balanced informative stories like yours are of great help. By allowing users to list and rent properties that are located in illegal settlements and by taking a 9-15% fee from hosts and guests, Airbnb is profiting from Israel’s continued occupation of Palestinian land and facilitating settlement activity. SumofUs has put together a mock website where you can leave your review of Airbnb’s settlement postings. Israel has been occupying the Palestinian West Bank, East Jerusalem, and Gaza since 1967. This brutal military occupation has included Israel killing, injuring, and imprisoning tens of thousands of Palestinians; demolishing at least 28,000 Palestinian homes; and severe restrictions on Palestinian movement through checkpoints and the building of the apartheid wall. "The Occupying Power shall not deport or transfer parts of its own civilian population into the territory it occupies." There are approximately 650,000 Jewish settlers currently living in the West Bank and East Jerusalem. Settlements are placed to ensure the impossibility of a contiguous Palestinian state and the protection they are afforded by the Israeli government ensures Palestinians are denied basic freedoms such as the right to mobility. Learn more about Israeli settlements and international law. How is Airbnb profiting from Israel’s military occupation of Palestinian land? There are 13,000 Airbnb listings in Israel, though investigations have revealed that many of the properties are in fact actually located in settlements in the West Bank. In 2014, the company’s rentals were used by 128,000 guests. By allowing users to list and rent properties that are located in illegal settlements and taking a 9-15% from hosts and guests, Airbnb is making money off of Israel’s continued occupation of Palestinian land and helping facilitate settlement activity. Over the first half of 2015, the number of new settlement units completed in the occupied West Bank increased 54.8% over the same period in 2014. As long as companies are willing to overlook Israel’s violations of international law and do business as usual, Israel will be able to continue acting with impunity. What is wrong with Airbnb allowing properties to be listed as in Israel when they are in fact located in the West Bank? Israel insists that its settlement enterprise is not illegal despite virtually the entire international community, including the United Nations Security Council, the International Court of Justice, the International Committee of the Red Cross, and human rights organizations such as Amnesty International and Human Rights Watch, saying otherwise. In order to defend its illegal settlements, Israel seeks to normalize its control of Palestinian land and erase the presence of the “green line,” Israel’s internationally-recognized pre-1967 border. How do corporations like Airbnb that do business with settlements contribute to Israel’s human rights abuses and violations of international law? Companies that do business connected in any way with Israeli settlements help entrench the occupation. are inextricably linked to and benefit from Israel’s discriminatory policies that encourage settlements and harshly restrict Palestinians, such as privileged access to Israeli-issued construction permits and licenses to extract natural resources that should be used only for the benefit of the Palestinian population of the occupied territory. HRW’s report is just the latest indictment of corporations profiting from occupation. Palestinians have been highlighting the negative impact of settlements on their own economic development and have demanded an end to this complicity in Israel’s war crimes. What role does tourism in particular play in Israel’s continued denial of Palestinian rights? Israel’s Ministry of Foreign Affairs has dedicated a lot of resources to what they call “Brand Israel” campaigns to improve Israel’s image abroad to counter worldwide outrage over its war crimes. Part of these efforts is promoting tourism in order for Israel to promote itself by inviting people to visit the country and see for themselves what Israel is like. These tours are purposely designed to explicitly hide Israel’s ongoing violations of Palestinian rights such as the military occupation. For example, tourists are invited to experience the Old City without being told it is part of occupied Palestinian East Jerusalem. Settlement tourism in particular is meant to normalize and institutionalize their presence and is even promoted by the Israeli Ministry of Tourism. Settlement regional councils have sections on their website promoting settlement tourism sites in the West Bank and are themselves a regular part of the planning for Israel’s national tourism strategy. In many cases these councils run Israeli national parks in the West Bank. For example, Herodium close to Tekoa is an Israeli National Park with entrance fee payable to the settlement. Settlers have also used tourism to make their settlements permanent. Settlers in Migron have built a winery and visitor center even though the settlements houses are just outposts. What other concerns are there about Airbnb doing business in settlements? Since Airbnb is listing properties that are in explicitly Jewish-only settlements, there is an additional concern that not all of Airbnb’s users would be welcome in the rentals. The profile of an American citizen of Palestinian descent attempted to make a reservation at dozens of listings and was only able to secure one. Based on some of the responses talking about the political situation, it seems like there was discrimination based on ethnicity and/or nationality. This is only one example of discrimination by Airbnb hosts. Another recent study found “widespread discrimination” by hosts against people with black-sounding names seeking rentals. Fictional guests with names like Lakisha or Rasheed were roughly 16 percent less likely to be accepted than identical guests with names like Brent or Kristen. Justice: Right of return for Palestinian refugees to their homes and lands. With the failure of the U.S. government and international community to hold Israel accountable for its actions, BDS promotes time honored and respected tactics used to achieve justice throughout history, including in the U.S. Civil Rights and South Africa Anti-Apartheid Movements. Boycott targets include consumer goods and complicit academic and cultural institutions. Divestment can be implemented by universities, churches, unions, pension funds, and other institutions. Sanctions require ends U.S. military aid to Israel. Learn more about the international BDS Movement.